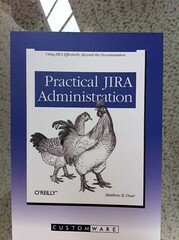 Didnt know O’Reilly had a chicken book. Seen at the @atlassian offices. Didnt know O’Reilly had a chicken book. Seen at the @atlassian offices., a photo by pahlkadot on Flickr.